At Valldoreix Greenpower we have developed our own solar trackers with plug and play systems and a unique technology that ensures reliability and high efficiency. We have a great experience designing PV projects, and we are able to adapt to your needs so that you optimize your installation and obtain the highest possible efficiency. Solar trackers present great benefits for the solar industry as they increase the collection of solar radiation and consequently the energy supplied by the installation. With our solar trackers you can increase the performance of your installation up to 40% compared with fixed installation. 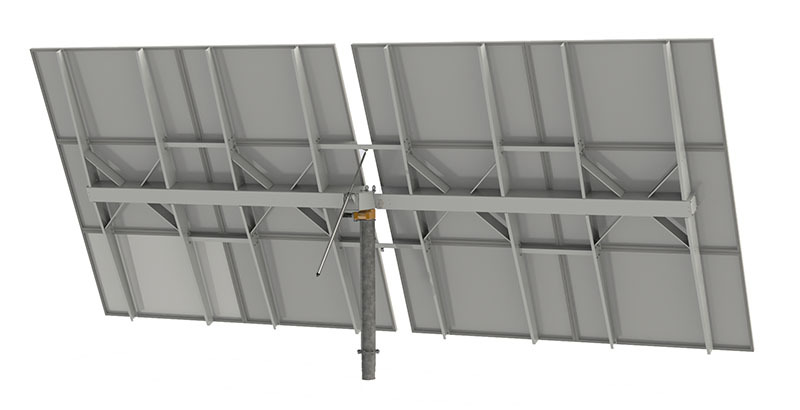 VGP PVAST solar trackers integrate into a single unit REC solar modules with our advanced ICPVS technology . They are designed so that they arrive at their destination as a single element, thus facilitating transport and optimizing logistics. At the same time, they are transportable, so they are ideal for provisional photovoltaic installations. 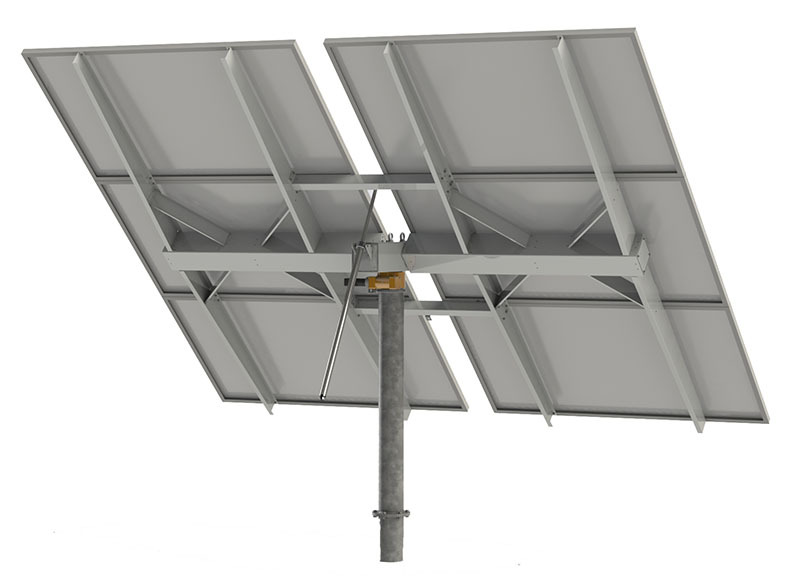 The entire tracker, together with the installed photovoltaic modules can be lifted from its pedestal and be moved elsewhere when you need to make a transfer of its activity. Our trackers use stepper motors and maintenance-free mechanical actuators. They they use a continuous tracking system instead of the usual incremental track, which increases the lifetime of the components and prevents oscillations. VGP PVHT 2106 is our new single-axis tracker. 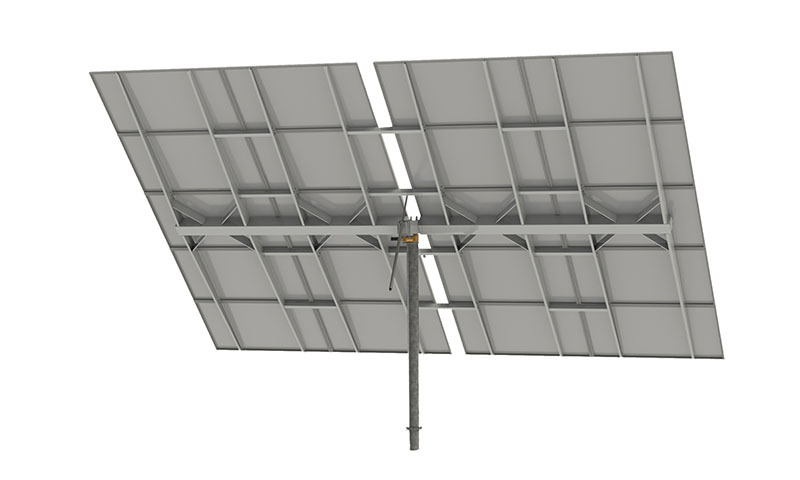 It is a fully integrated 210,6 m2 aperture photovoltaic single axis horizontal tracker, including 108 REC 315PE72 modules, with a total of 34 kWp, and an ABB PRO 33 three-phase inverter. 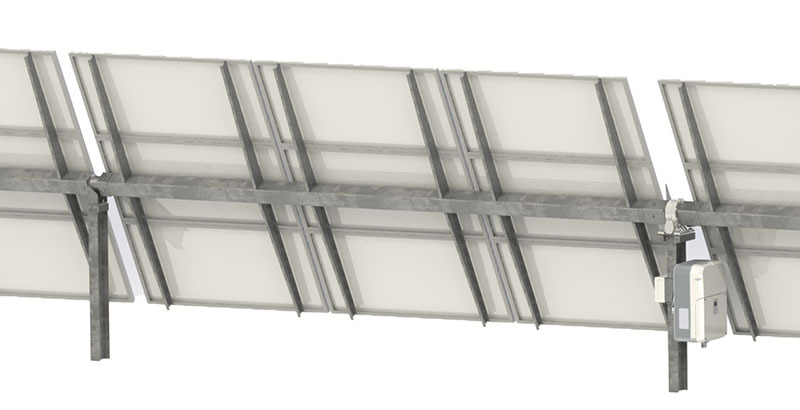 Our exclusive design allows to increase the number of modules installed, incrementing the output density of the system and thus further improving the profitability of your PV project.